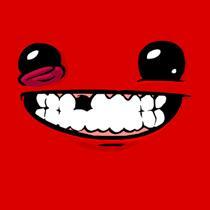 Both games have outsold expectations significantly, with 'Super Meat Boy' bringing in one million sales. "Indie games just can't compete in sales with triple-A titles." That's an oft heard statement about the indie space that's becoming less and less accurate. If the 4 million sales of 'Minecraft' weren't enough to prove it, two more great indie games have just announced some significant sales figures. 'Bastion' creators Supergiant announced last week that their game had hit 500,000 sales. Half a million games sold is a number that the team behind the game never thought possible. Those sales don't just mean money in the pockets of the game's creators though. Creative director Greg Kasavin says that this puts the team in a position "to be in a position to make more games on our own terms." Team Meat also announced some big sales news recently, boasting a cool million sales of 'Super Meat Boy.' The game was developed by a team of two and composed by a team of one. It just goes to show that a high budget and a massive team isn't always necessary for major sales as long as the game is good.